Our midterm progress report can be found here. 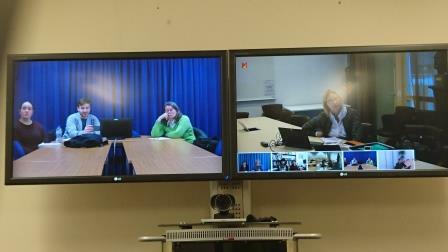 A recent paper by Valros et al. 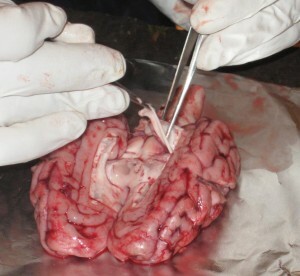 (2015) shows evidence for changes in monoamine metabolism in the brains of pigs affected by tail biting, both in the victims and the biting pigs. 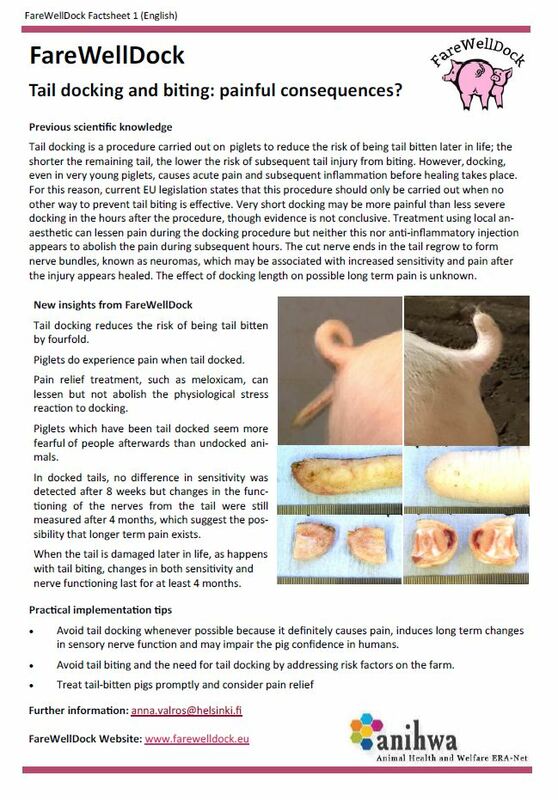 Tail biting in pigs is a major welfare problem within the swine industry. Even though there is plenty of information on housing and management-related risk factors, the biological bases of this behavioral problem are poorly understood. 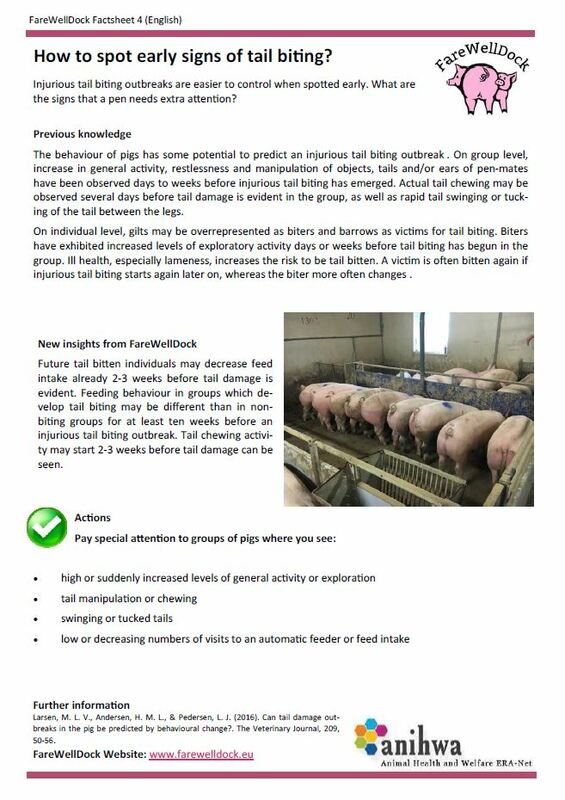 The aim of this study was to investigate a possible link between tail biting, based on behavioral recordings of pigs during an ongoing outbreak, and certain neurotransmitters in different brain regions of these pigs. 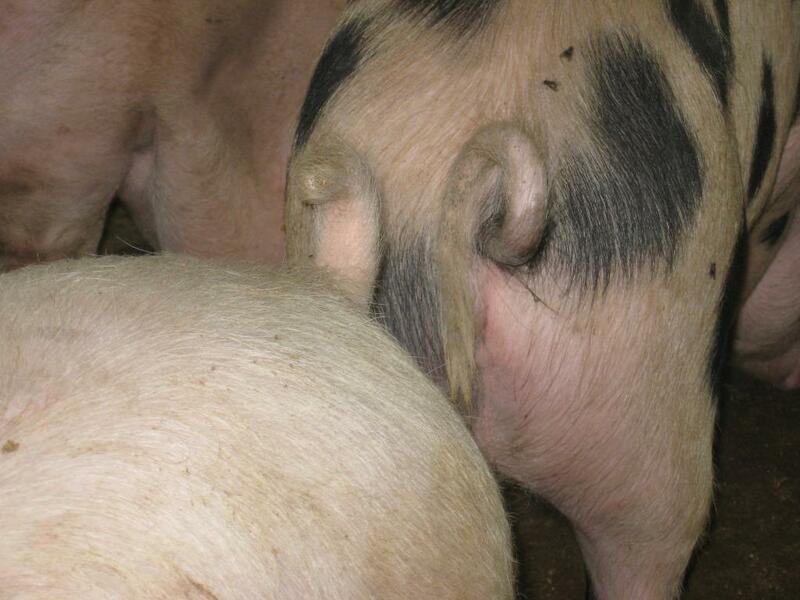 We used a total of 33 pigs at a farm with a long-standing problem of tail biting. Three equally big behavioral phenotypic groups, balanced for gender and age were selected, the data thus consisting of 11 trios of pigs. Two of the pigs in each trio originated from the same pen: one tail biter (TB) and one tail biting victim (V). 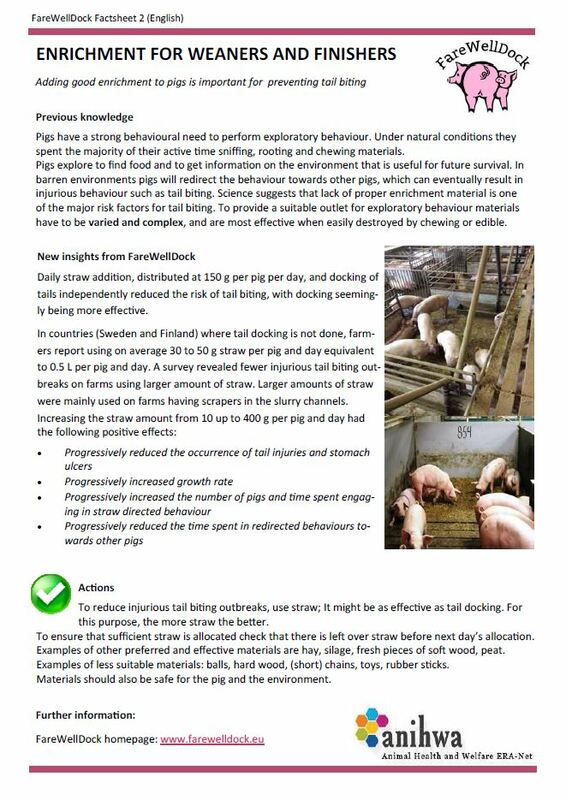 A control (C) pig was selected from a pen without significant tail biting in the same farm room. We found an effect of tail biting behavioral phenotype on the metabolism of serotonin and dopamine, with a tendency for a higher 5-HIAA level in the prefrontal cortex (PFC) of TB compared to the other groups, while V pigs showed changes in both serotonin and dopamine metabolism in the striatum (ST) and limbic cortex (LC). Trp:BCAA and Trp:LNAA correlated positivelywith serotonin and 5-HIAA in the PFC, but only in TB pigs. 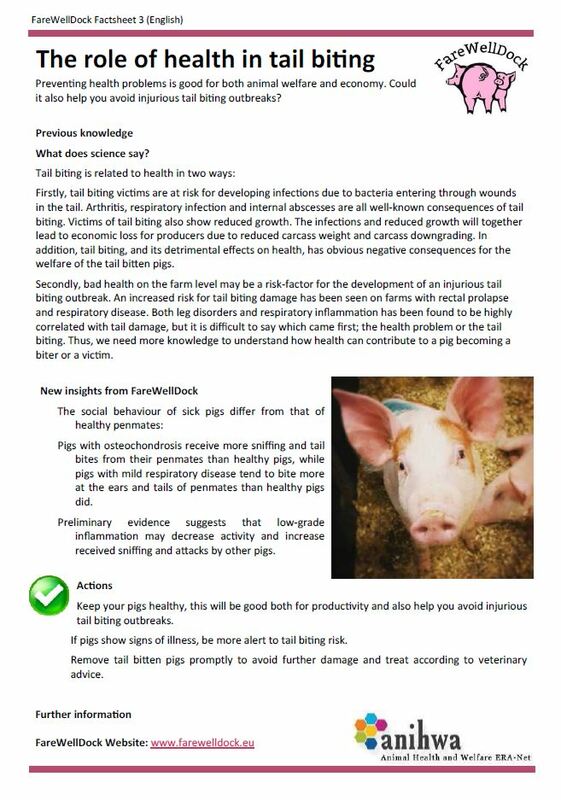 Furthermore, in both ST and LC, several of the neurotransmitters and their metabolites correlated positively with the frequency of bites received by the pig. This is the first study indicating a link between brain neurotransmission and tail biting behavior in pigs with TB pigs showing a tendency for increased PFC serotonin metabolism and V pigs showing several changes in central dopamine and serotonin metabolism in their ST and LC, possibly due to the acute stress caused by being bitten. Reference: Valros, A., Palander, P., Heinonen, M., Munsterhjelm, C., Brunberg, E., Keeling, L., & Piepponen, P. (2015). Evidence for a link between tail biting and central monoamine metabolism in pigs (Sus scrofa domestica). Physiology & Behavior.